MOTT HAVEN, Bronx (WABC) -- The NYPD is searching for a gunman who was in a wheelchair when he fatally shot a man near a Bronx housing complex early Sunday. At about 2 a.m., the NYPD responded to a 911 call of a male shot at the rear of 350 East 143 Street, Mott Haven Houses. Officers found a 28-year-old male with numerous gunshot wounds to the torso. EMS also responded and took him to Lincoln Hospital, where he was pronounced dead. The victim has been identified as 28-year-old Kevin Thomas of the Bronx. The NYPD released a photo of two men wanted in the shooting. 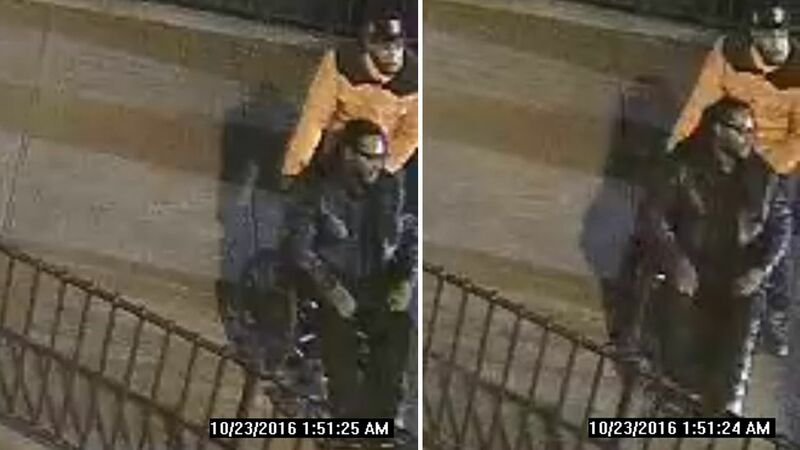 Individual #1 is described by police as a male black, wearing glasses and a black jacket. This individual was sitting in a wheelchair, displayed a firearm and shot the victim multiple times. Individual #2 is described by police as a male black wearing a brown jacket and a black baseball hat.